« Word Clouds, a way to quickly catch someone’s eye? A friend recommended “Ready Player One” to me and I am loving it. Ernie Cline has written a very industry savvy novel here. YA with cross-over appeal? Check. Vaguely near-future sci-fi with elements of fantasy tossed in? Check. Future dystopia? Check. But where the book really shines is by summoning up all the nostalgia that frankly, will be wasted on younger readers. Normally, I wait until I’ve finished a book to recommend it. But today, I ran into a passage in the book that made me stop and reflect on things I hadn’t thought about in nearly 30 years. I actually had “Dungeons of Daggorath” on my TRS-80 Color Computer (with a whopping 16K of memory), which was the 1st computer my parent’s got for me. I might still have it. I remember programming my own INFOCOM rip-off text adventures in Basic and in a programming language called “Logo” (?) to draw things. I wanted a Vic-20. 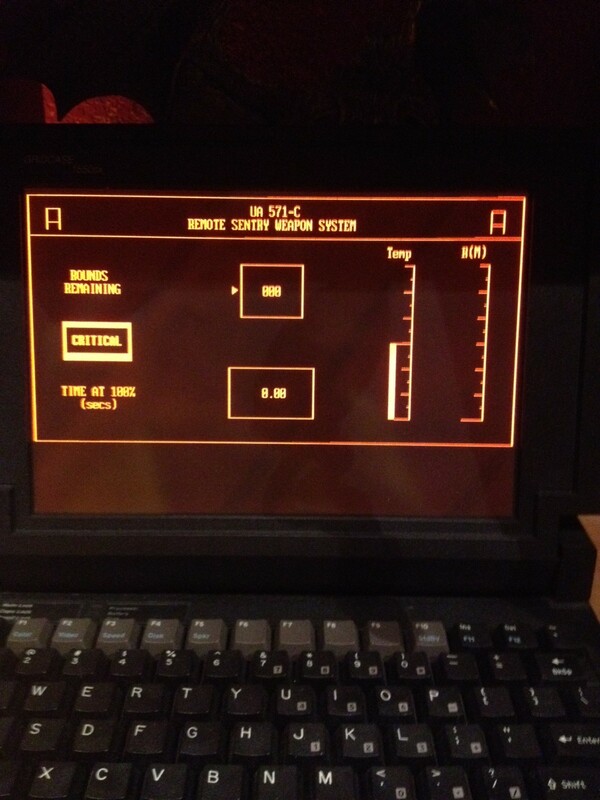 But I had gone to a Radio Shack computer camp and they had TRS-80 model IIIs at NYMA, so we went with that. I still remember saving all my programs on a cassette tape. 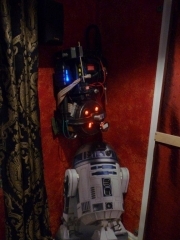 Which are probably in a trunk somewhere in the basement (still my favorite hangout). Holy cow was that a long time ago. I even remember playing “Tomb of Horrors” at New York Military Academy with my D&D group. The module I really remember because it was such a blast was “The Ghost Tower of Inverness”. Man, we played through all the Slaver modules, the Giants, “White Plume Mountain” where my buddy got BlackRazor the soul-sucking sword that was a rip-off of Stormbringer, all the way through “Vault of the Drow” when Lolth killed my character Findel Half-Elven. I actually remember mourning him. Most of our party didn’t make it out of there and I remember that one of the lowest level guys was the sole survivor. I don’t think we ever ‘solved’ that module. We actually had funerals for our characters (hey, it was military school and we were bored nerds). I miss that so much. 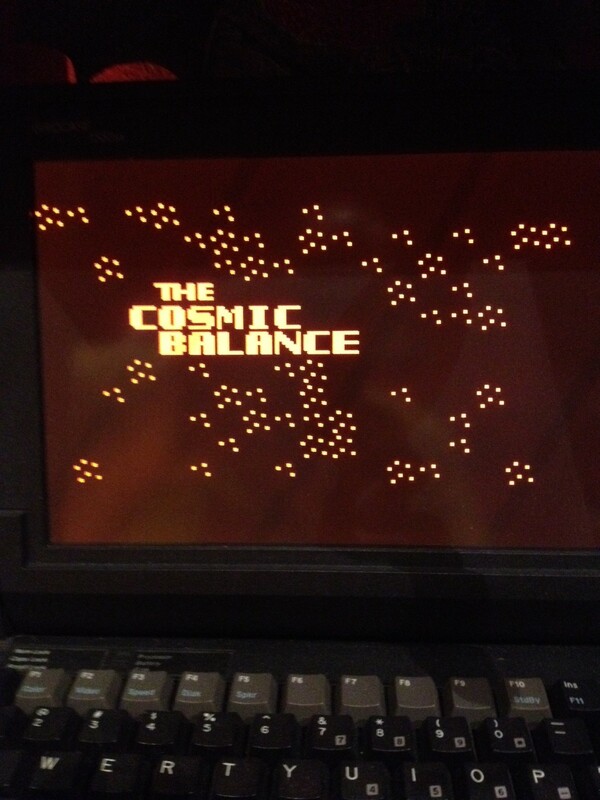 So much that I actually have an emulator on an old Gridcase Model 3 Laptop that runs SSI’s “The Cosmic Balance”. I’ve been waiting years for someone to create a modern version of this simple game…but no joy as of yet. 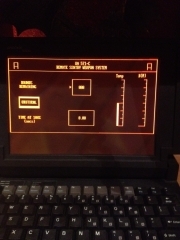 And yes, for those who are wondering, that is the same model laptop the Colonial Marines used to control the Sentry Guns in the extended cut of “Aliens”. 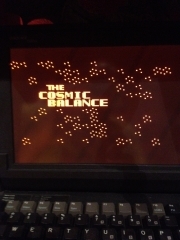 Those heady days of gaming and the L.H.S. Strategy Club are now behind me. And I miss it a lot. I guess that’s kind of the definition of nostalgia. Now, I scratch out a few hours of gaming at Gamer’s Haven, my Friendly Local Game Store (FLGS) and our old gaming group tries to knock out a map or two of Battlefield 3 before real-life calls to us. In between sessions, I just waste time poring over codices and lists trying to eek out those last few points for maximum army efficiency in Warhammer 40K and playing computer games that my teenage self couldn’t have even imagined. 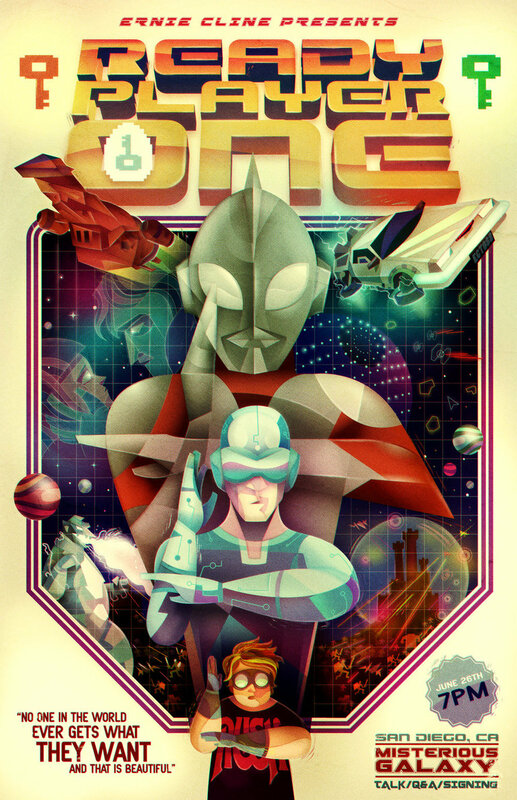 “Ready Player One” is available at booksellers everywhere. And on Audible.com and as an audiobook. And the audiobook is narrated by Wil Wheaton! Come on… now you have to get it! Oh yeah, if you feel the itch to play “Adventure” again, there’s an app for it and other old 2600 games in the Google Chrome app store. It’s free. It’s still fun. And the Dragons still look like malformed ducks. Word Clouds, a way to quickly catch someone’s eye?